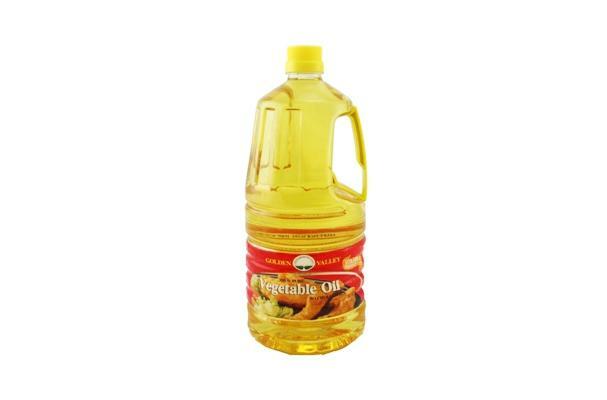 Vegetable oils are oils extracted from vegetables. These vegetable oils maybe edible (for cooking) or inedible (for industrial use). Examples of vegetable oils used in cooking are canola oil, sunflower oil, peanut oil, sesame oil, olive oil, etc. Yellow Gold fluid that is easy to boil when applied by heat. It also floats on water and creates greasy effect on plates, spoon and other cooking utensils. It has may variation and smoke point. Choosing: Most vegetable oils will add no discernible taste in frying. However, peanut oil is one that can impart some flavoring to foods. For healthier choices, check labels for levels of fats. Avoid those that state “partially hydrogenated” and “saturated.” The “good” fats will be listed as unsaturated, polyunsaturated, or monounsaturated. Canola is at the top of the heart-healthy list as it is the lowest in saturated fats. Blended oils may not list every ingredient. Generic “cooking oils” are generally soybean-based. It is important to become familiar with the different types of vegetable oils for best results in baking, frying, and serving with fresh foods. Buying: You can buy these Vegetables oils in supermarkets. Do not use vegetable oil as a dressing. When reusing frying oils, remember that the smoke point may be lower than when it is fresh. Use extra virgin or extra light olive oils for cooking. Unrefined olive oil will begin to smoke at about 320 degrees F.
These oils do not require refrigeration and may turn cloudy when cold. They will be good for about twelve months if stored properly (out of sunlight). Vegetable oil is a growing part of our diet. Beginning in the 1960s, researchers began to make clear connections between the intake of saturated fats and coronary heart disease. With the call for people to eat more unsaturated fats, consumers shifted toward vegetable oils, which are a natural, convenient source of such fats. Since 1995, the global per capita consumption of oils and fats has risen from 15.6 to 23.4 kilograms per year, with vegetable oil assuming a larger percentage, 82 vs. 78 percent, of total fat intake.